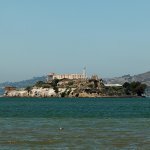 Unthanksgiving Day, also known as the Indigenous Peoples Sunrise Ceremony, is an annual event that takes place on Alcatraz Island on the fourth Thursday in November, coinciding with Thanksgiving. It is designed to honor Native Americans and promote their rights. On November 20, 1969, a group of Native Americans, mostly college students, occupied the island of Alcatraz. They claimed the island according to the Treaty of Fort Laramie, also known as the Sioux Treaty of 1868. The occupation lasted for nineteen months. During the occupation, many indigenous Americans joined the civil rights movement and spoke out for their rights. The occupation was forcefully ended by the United States government on June 11, 1971. The first Unthanksgiving Day was held on November 27, 1975. It was established to commemorate the survival of the indigenous peoples of the Americas following European colonization. The organizers chose the fourth Thursday of November with intent. While most people in the U.S. celebrate Thanksgiving, Native Americans want to remind about the losses Indians had to suffer because the arrival of Europeans. The ceremony is organized by the International Indian Treaty Council and American Indian Contemporary Arts. The celebration takes place before sunrise and is open to public. On the same day, an annual protest known as the National Day of Mourning is held in Massachusetts.